Work embroidery in your wardrobe with the addition of this beautiful top. 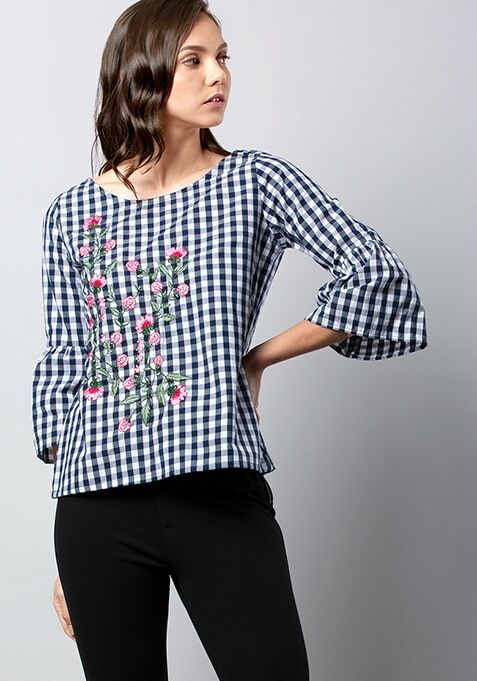 Featuring all over checks, this top is accentuated with floral embroidery. Work It: Team it with solid black skinnies and strappy heels for a date night look.